This past week I went to a two day conference on the campus of Colby College that was unlike any I had ever attended before. The focus was on teacher leadership, innovative instructional practice, and honoring the dignity of of teachers and our profession. And it was FREE. 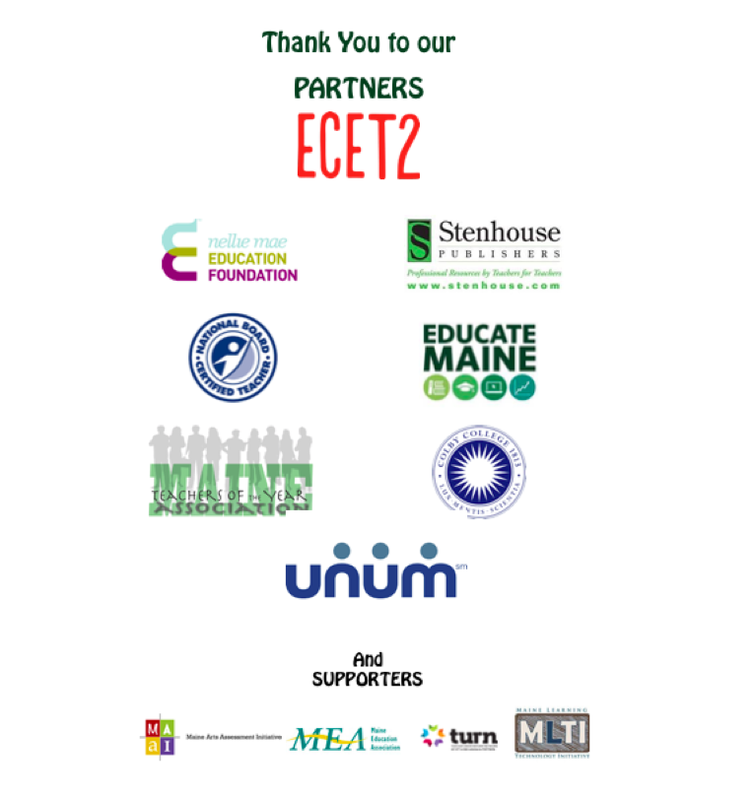 This ECET2ME Convening was hosted and organized by Educate Maine and Maine State Teachers of the Year. So what is ECET2? Every moment of these two days teachers were made to feel appreciated and respected. Hosted by teachers, for teachers it was tailored to meet our needs so perfectly and make us feel like “royalty”. We had inspiring “Cultivating the Calling” keynote speakers such as Shanna Peeples (the 2015 National Teacher of the Year) as well as local teachers, breakout sessions focusing on leadership, innovation, and empowerment, and facilitated colleague circles to discuss and problem-solve real and relevant issues in our schools. And beyond all that learning there was time for networking and celebrating. A lobster bake was provided on the shores of the campus lake and the incredible generous Stenhouse Publishers provided each participant with a free professional book of their choice and an opportunity to discuss it with colleagues. A free performance by the wildly talented improv group Teachers Lounge Mafia got us all laughing together and appreciating the humor that surrounds us each and every day. Toss in free gourmet boxed meals, more snacks than you could eat in a week, and plenty of coffee and infused waters. We ended the convening with a showing of the film Most Likely to Succeed complete with movie candy and popcorn! After the film, we had a live Twitter chat about it. The cool thing about this was rather than telling participants about Twitter, they taught participants how to use it! A classic example of modeling and guided practice…brilliant! With funds from the Bill and Melinda Gates Foundation and local organizations, the amazing ECET2ME Team, led by Karen MacDonald and Jenny McLellan put in countless hours and so much passion into making this event happen for 150 Maine teachers. I can’t thank them all enough. (and I truly apologize that I can’t name you all individually!) Each of us left the conference feeling inspired, empowered, and connected. 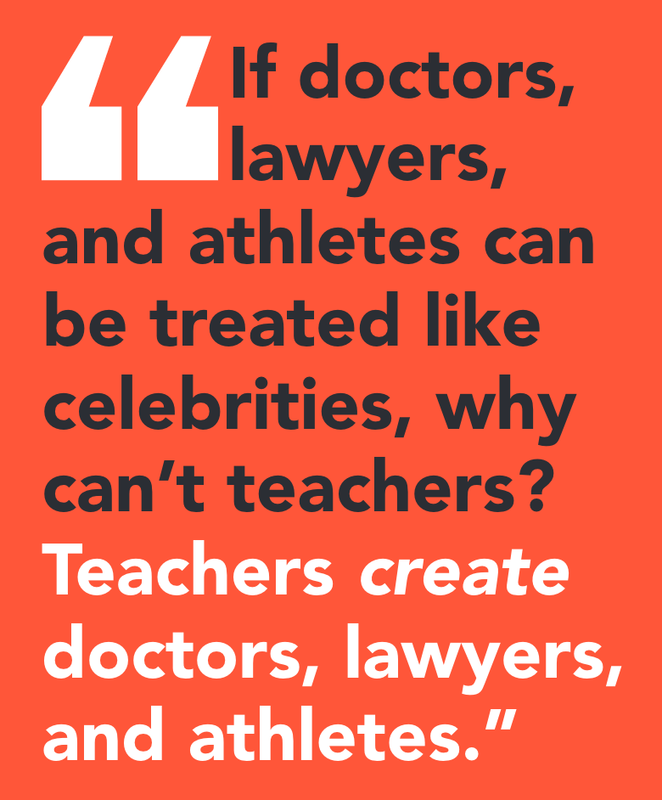 We are charged with going out and sharing what we experienced and learned with our colleagues and cultivating the calling of teacher leadership. We left with a stronger network to lean on and collaborate with as we navigate the challenges of teaching. We are dedicated to promoting teacher leadership, positive school culture, and the advocacy for what is best for our students. If you get a chance to attend an ECET2 Convening- DON’T PASS IT UP! It’s a game changer! Here’s my PHOTO ALBUM of the event so you can sneak a peak of what it’s all about. Every year a baby is left in the woods as a sacrifice to the witch to spare the people of the Protectorate from her terror. But this witch (the kind Xan) saves these babies she thinks are being abandoned and finds them loving homes on the other side of the dangerous woods. One year a mother fights to save her baby and is imprisoned for her rebellion and goes mad. Xan rescues this child as well, but she accidentally feeds her moonlight rather than starlight and she is enmagicked. Xan must raise ‘Luna’ and teach her the ways of magic. Meanwhile a young man wants to free his people from the evil witch by killing her and the mad mother has visions of the true evil in the Protectorate. All of these lives intersect with an incredible climax in this fantastic story that I cannot begin to retell with any justice. 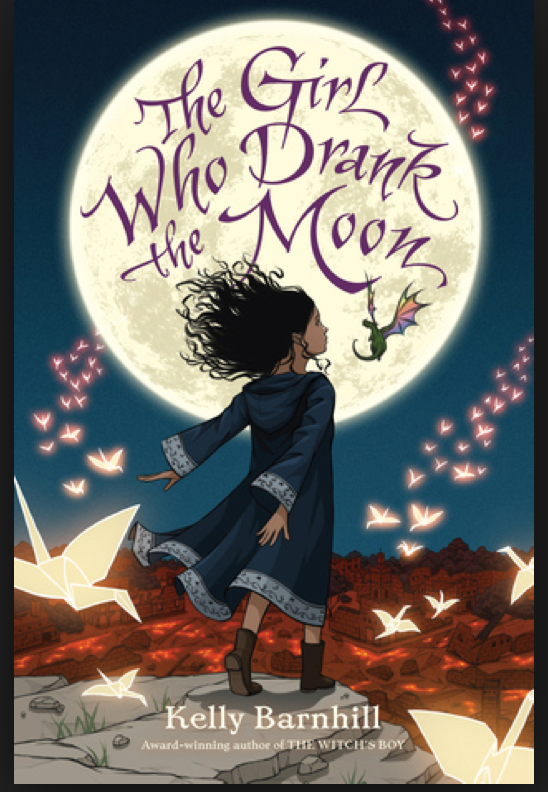 I hope this becomes a read aloud in many middle grade classrooms this year. It’s going to win a lot of awards. 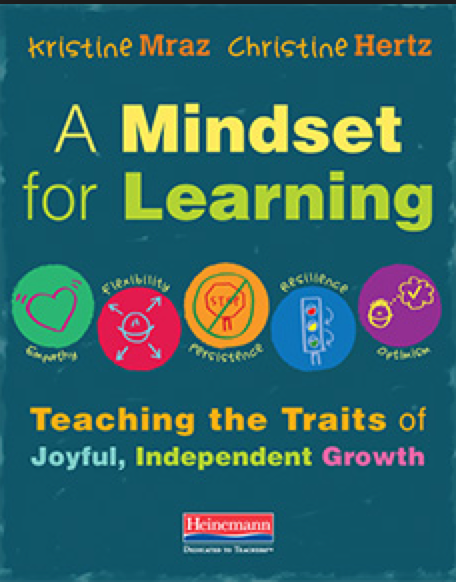 and provide practical lessons and approaches to help us cultivate these stances in our students to become independent learners who embrace the challenges of learning. CAUTION: you’ll want a highlighter, sticky notes, or a pencil handy as you read!